Fresh and delicious, our complimentary breakfast is the perfect way to start your day. 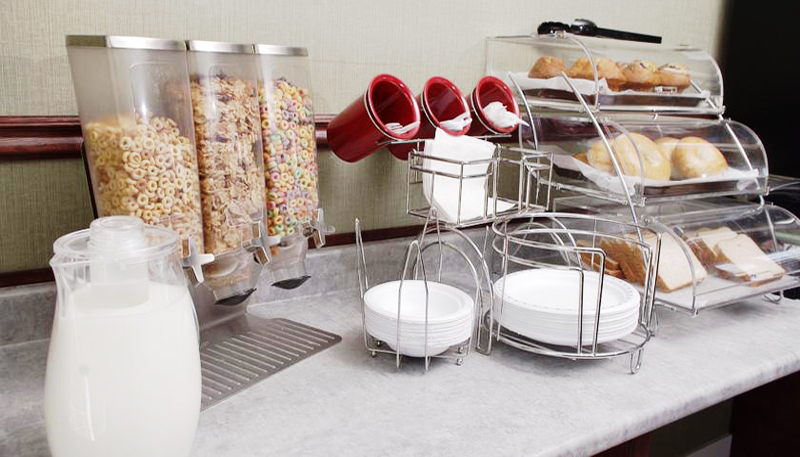 Enjoy Toast, Muffine, waffles, cereal, freshly brewed coffee, Juices and more. Kids love our large, covered Hot Tub—fun for adults too! 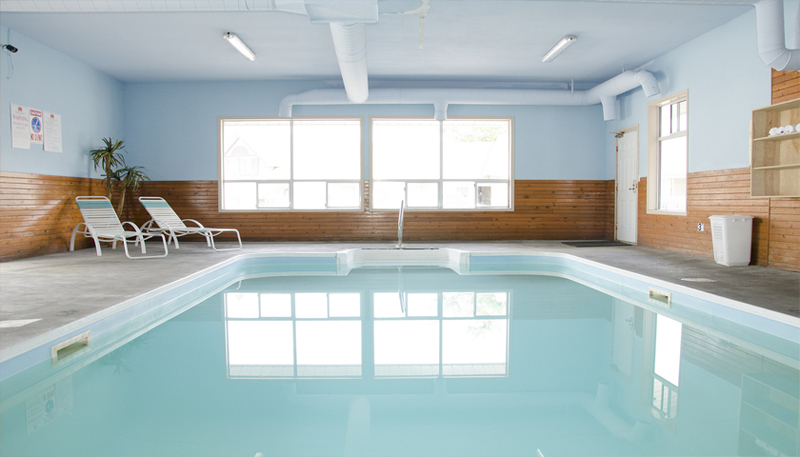 Plus, our spacious indoor pool is great for exercise, family fun and relaxation. Host to countless sports teams over the years, our Best Budget Inn & Suites Kamloops is experienced in providing comfortable and affordable sports tournament accommodation. Welcome to Best Budget Inn and Suites Kamloops, a great place to stay on the Trans-Canada Highway. We offer exciting views of the majestic mountains around us and feature a heated indoor pool with whirlpool for the ultimate in relaxation. Other features sure to enhance your stay include free wifi, a great free breakfast plus microwaves and refrigerators in every room. We're also pleased to provide wake-up service and offer free cable television – in addition to other nice touches that will make you want to stay at Best Budget Inn every time you're passing this way. When you're not relaxing in the patio area that looks toward the mountains above us, you may want to take a local wine tour, enjoy some boating or check out the golfing. Plus, we're near Kamloops Art Gallery and Riverside Park too. Traveling with a group or need an extended stay? We're pleased to discuss discounted rates with you. We want to do whatever possible to help you afford and enjoy your time with us. 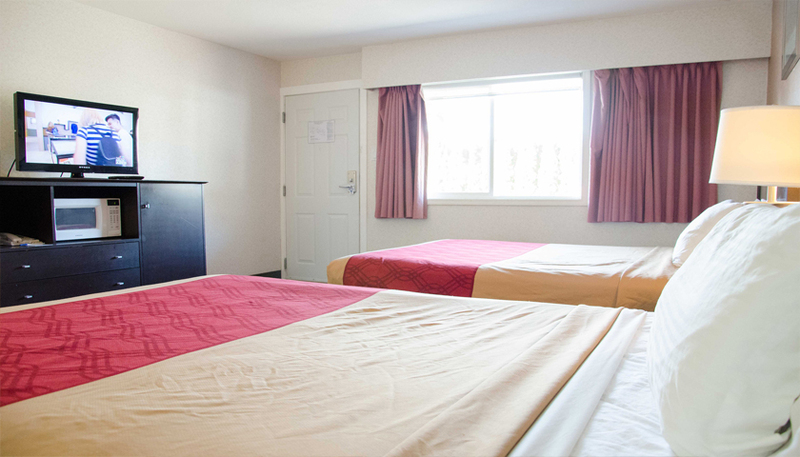 At Best Budget Inn Kamloops, we're here when you need us with great rooms, excellent amenities and an unmatched experience. 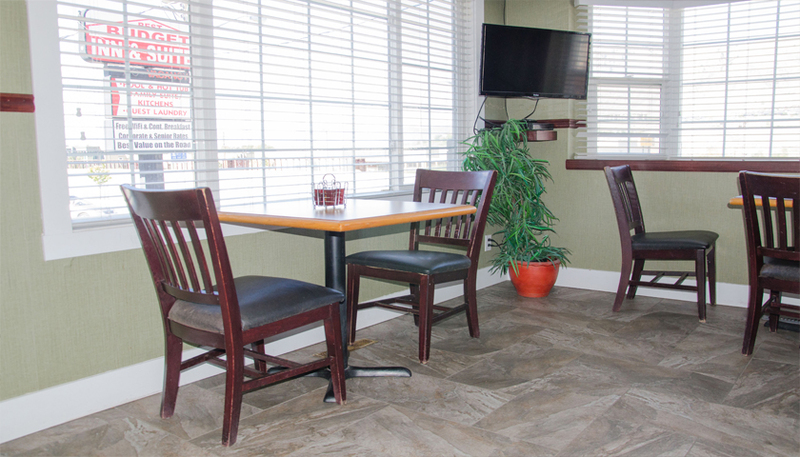 Why not book now so you can enjoy the very best of this area while staying in affordable comfort at Best Budget Inn Kamloops? Book online today for our best rates. Travelling with a team or group? Contact us for competitive group accommodation rates. And be sure to check out our exclusive packages and deals for fantastic savings on your trip. We look forward to welcoming you to Kamloops! Looking for Kamloops' best budget hotel? It's right there in our name at Best Budget Inn, a smart choice of motels in Kamloops BC for business or pleasure travelers. When you choose to stay with us while on business, you're benefiting from one of the best budget hotels in Kamloops BC. Plus, we're the smart choice of hotels near Kamloops Art Gallery and hotels near Riverside Park Kamloops too. Turn to us with confidence when you need a business hotel that will more than meet your expectations. We're here for you when you need us at our Best Budget Inn – your best choice of places to stay in the region. Please book now to ensure you we're available for you. For family travel that takes you to our region, it makes sense to stay in comfort and style where the amenities to satisfy the whole family are plentiful. It makes sense to stay at the best of the Kamloops BC hotels, Best Budget Inn. At our independent hotel, we provide all the amenities you expect and so much more. Whether you're looking for Kamloops Riverside Park hotels or perhaps extended stay hotels Kamloops BC can be proud of, we're here for you with the family-friendly experience you need and deserve. We provide the best choice in Kamloops hotels no matter what brings you to town. Why not stay with us? Looking for options in Trans Canada hotels Kamloops has available? Exploring your choices of Kamloops hotels on the Trans-Canada Highway? For a comfortable stay no matter what brings you to town, we have what you want at Best Budget Inn. As the best of the hotels in this exciting region, we feel an obligation to provide exceptional comfort at a fair price. We take real pride in offering amenities that enhance comfort as well, including so many amenities you simply can't get at other discount motor lodges. 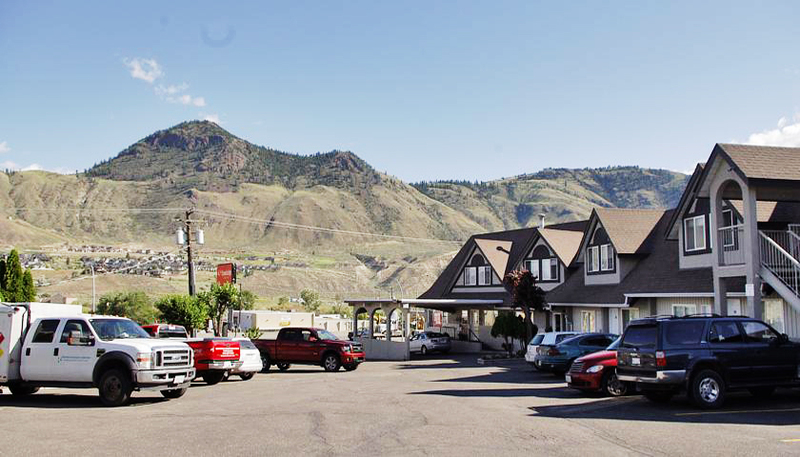 Whether you're looking for Kamloops hotels or are passing through the area on business or pleasure and need a place for the night, we're here. Are you looking for hotels in Kamloops BC Canada but concerned about your safety? You deserve a safe and peaceful stay, no matter where you travel. 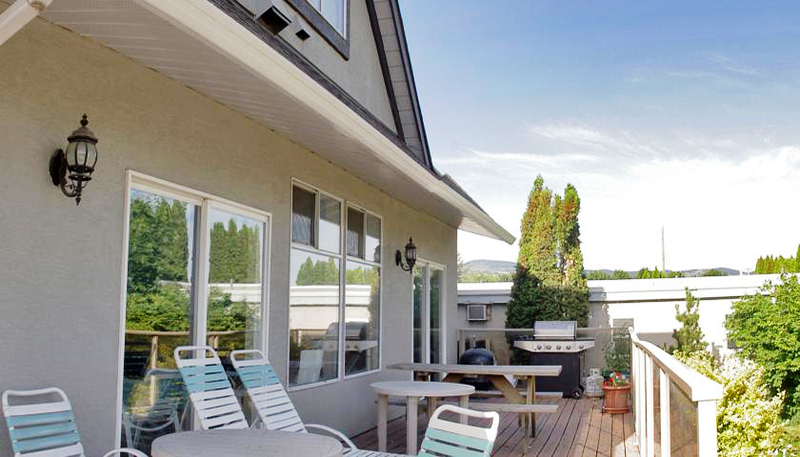 When you need to visit our part of Canada, staying with us at Best Budget Inn Kamloops is a great choice sure to lead to exceptional value, amazing comfort and the safest, most peaceful stay you can imagine. We take great pride in being a quiet, safe and cozy hotel where you can stay in peace, sleep well and wake up to a great morning. We sincerely hope you will make us your first choice in the area now and in the future. When visiting this area, don't forget to explore our town. Kamloops is a great place to explore, and we put you nearby. The Trans-Canada Highway offers you options for things to do and places to stay, but you can't do better than staying with us. Kamloops Riverside Park is worth visiting, yet so many people miss it. Why not make sure you see it while staying with us? Kamloops Art Gallery offers a surprising array of artwork, and you can take some home with you. Stay with us while shopping the art. Guest room with King size beds.